Why would anyone drive to find a sunset waterfront vista, when there’s one at his backyard? Beats me. 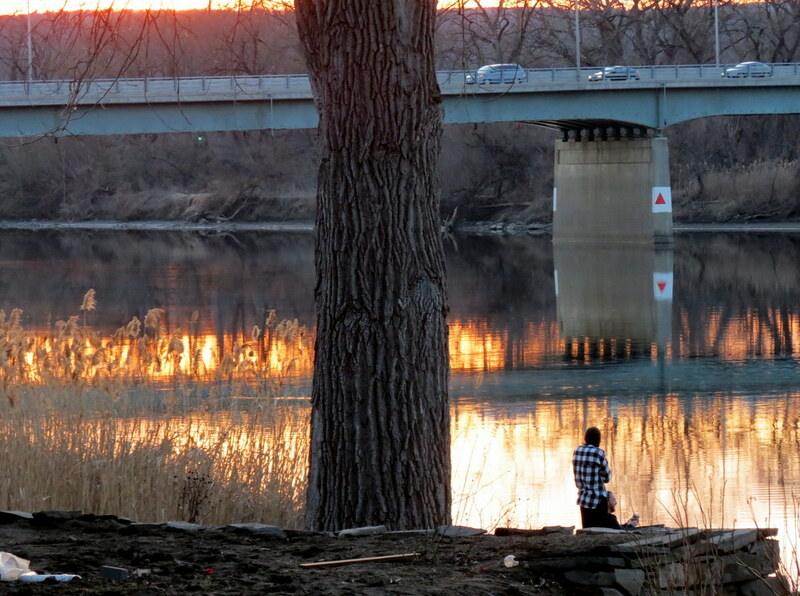 I enjoyed a lazy sunset photoshoot yesterday evening, March 26, the day before Easter 2016, along the Mohawk riverbank at Cucumber Alley here in the Schenectady Stockade. Although I didn’t see the Easter Bunny hiding eggs, I did spy dinosauruscucumbus lumbering across the yard, with plenty of capacity for lugging vast quantities of chocolate. 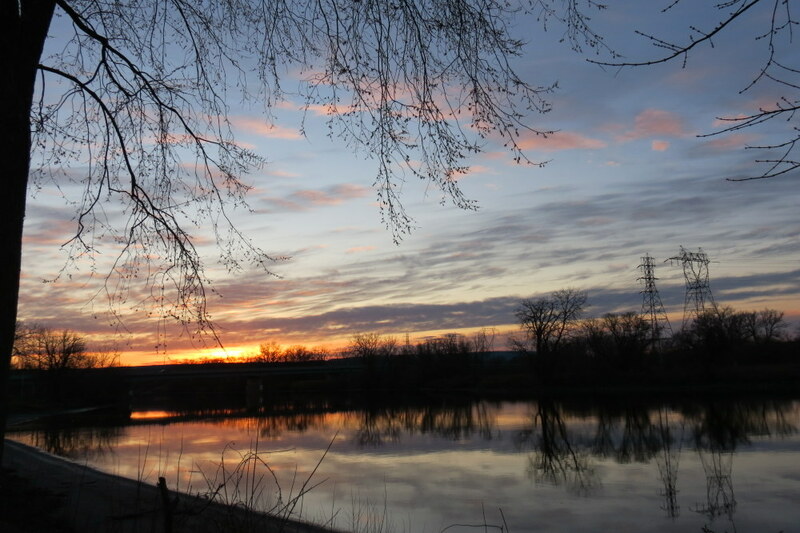 The purple and orange shades of sunset filled the sky and reflected on the River. And, two young men were enjoying the tranquil scene from the riparian strand that has been carved at the once lushly foliated backyard of 1 Cucumber Alley. 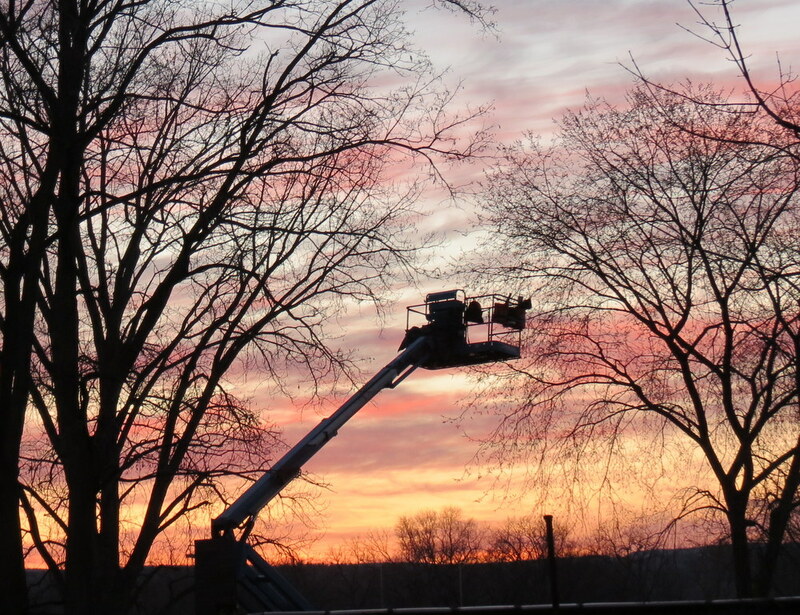 This Slideshow captures the views from several perspectives, including sunset hues in Stockade windows facing south toward the River. Enjoy. 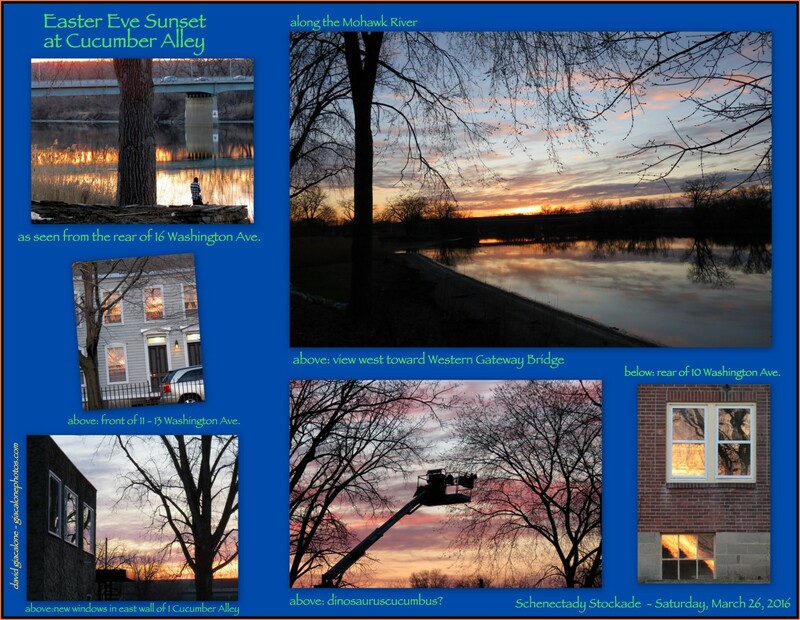 The following collage has a sampler of images from our Easter Eve Sunset. Click on it for a larger version.